Mix and match firmness layers to get the perfect feel. 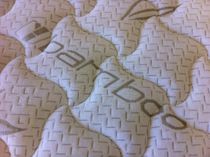 Zippered cotton cover quilted to 1.5 inches pure, natural Joma Wool with Tack and Jump pattern for that ultra plush feel. Firmness layers available in soft, medium, and firm. 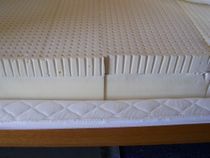 Each king, queen or full mattress consists of 2 pieces of latex. The 2" Talalay latex topper is soft (#22 ILD) and lays over the 6 inch Talalay core of your choice (soft, medium or firm). Now offering 3" topper upgrades in Soft, Medium and Firm. Twin and Twin XL are one piece core only. 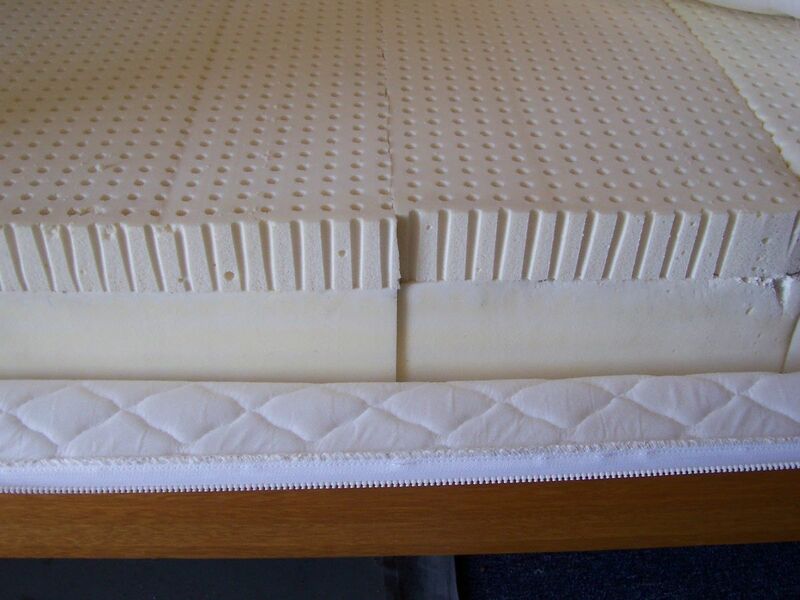 These mattresses are designed to ship UPS. Use your existing firm box spring, foundation or platform! Cores are easy to exchange via UPS if you desire a different firmness. 60 day satisfaction guarantee. Returns and exchanges are subject to standard UPS fees! 20 year limited warranty. Assembly is easy, just slip the cores into the zippered cover. You may choose the softer side up or the firmer side up. Mattress is 9" thick with 2" topper or 10" thick with 3" upgrade. Slip covers in matching fabric available for your box springs. Call for pricing. Please select UPS as shipping method when ordering! Check out our KD Wood Foundations if you need to replace your old one.